At the end of the day, I find myself wanting to like SUVs like the Macan or the X3. The X5 and Cayenne drive like beasts and can handle all of the versatility tasks that you would need. But they really aren't made for me. I hate being that high. I hate feeling like I am driving a tank even if it can corner better than most cars on the road. It really isn't my style. I'd take a Panamera or even better yet, a Cayman S any day of the week (or for you BMW fans, an M3 or 135is). But, for those of you in the market for a luxury SUV, the Macan might be the new king on the block. We'll have to see if BMW's X3 has anything to say about that when it's launched sometime next year. What do you think? 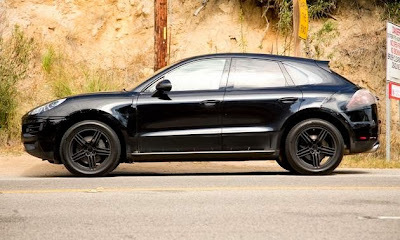 Is the Macan flipping awesome or more of the same from Porsche?